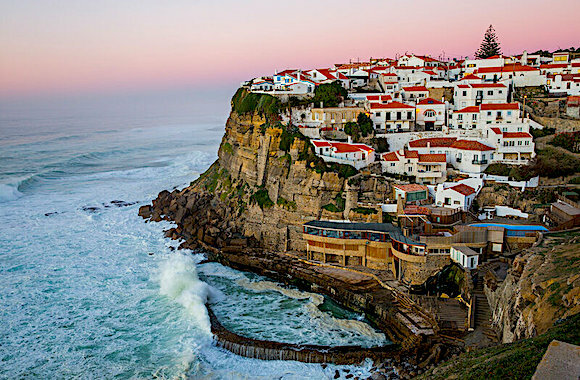 Our new tour crosses Portugal from north to south to allow you to discover all the wonderful landscapes of this beautiful country. 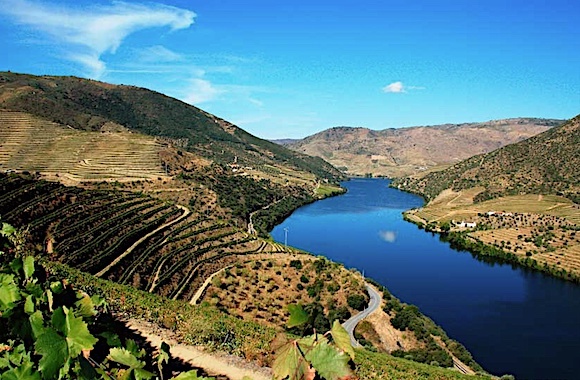 Northern mountains and the Douro Valley, the Serra da Estrela highest mountain range in the country, hilly and enchanting landscapes of the Alentejo with the wild coast Vicentina and to finish the Algarve mountains and the Atlantic south coast! Experienced level: majority of low mountain roads, some technical difficulties, off-road experience is required. Registration : from 1 to 12 participants, date chosen from a group of 6 participants or according to the schedule of groups to be completed for individuals or small groups. DAY 1. Arrival in Porto. Transfer from Porto airport. Welcome to our base near the city. Briefing before dinner. Dinner and overnight at the hotel *** with swimming pool. DAY 2. Porto - Meda (200 km) Serra do Marao, Serra, Douro Valley. Dinner and overnight at the hotel ***..
DAY 3. Meda - Pampilhosa da Serra (210 km) Serra da Lapa, Serra da Estrella. Dinner and overnight in **** hotel with indoor pool. DAY 4. Pampilhosa da Serra - Gaviao (220 km) The third day is under the sign of eucalyptus. Serra de Alvelos, Vale do Tejo. Dinner and overnight in a hotel **** at the edge of Montargil lake. DAY 5. 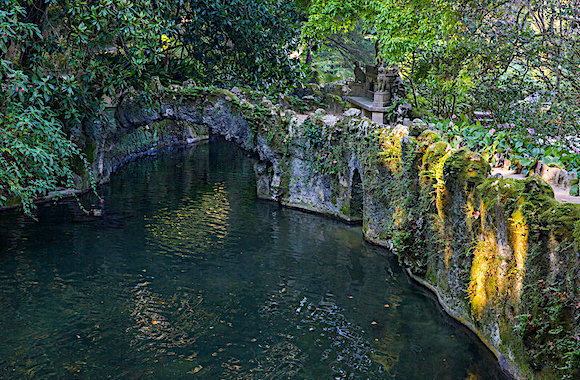 Gaviao - Montemor-o-Novo (210 km) Alentejo baixo. Night in bed and breakfast of charm in the middle of the cork oaks. DAY 6. Montemor-o-Novo - Vila Nova de Milfontes (200 km) Alentejo, pine and cork oak forests, sandy slopes. Dinner and overnight in hotel *** by the sea. DAY 7. 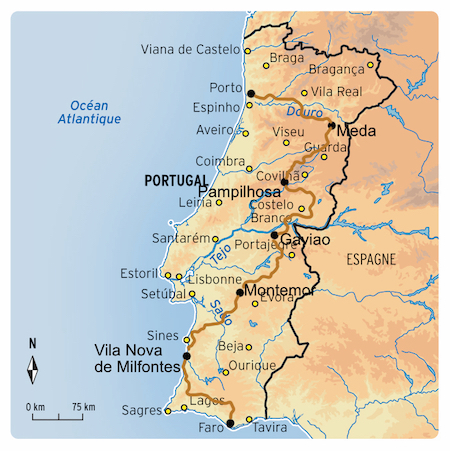 Vila Nova de Milfontes - Faro (210 km) A stage 90% Algarve because we will leave the Alentejo .... along the steep coast of Costa Alentejana, then the Costa Vicentina. 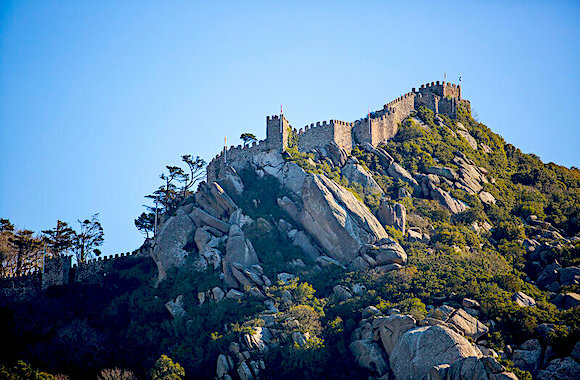 We will then go up to Serra de Monchique, the highest point of the Algarve where we will have lunch. Very nice peaks in the afternoon in the mountains of the Algarve before descending to Faro, the end of this fantastic trip! Hotel *** in Faro, free evening. DAY 8.return flight from Faro Airport Breakfast at the hotel, then transfer to Faro airport. Return flight.